The Inaugural Meeting of the Clan Lindsay Society took place in Edinburgh on Wednesday, 27th October 1897. In September 1898, to mark the 500th anniversary of the creation of the Earldom of Crawford, a celebration was held at Balcarres House in Fife. So successful was this event that when the Society held its first Annual General Meeting on 21st October 1898, it was agreed to hold a Clan Assembly at Edzell Castle the following September and so began the Clan Gatherings as we know them. 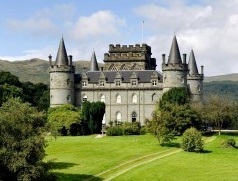 Members are cordially invited to make bookings for this year’s Clan Lindsay Gathering to be held at Inveraray Castle in Argyll on Saturday, 7th September 2019. The Gathering will commence on Saturday 7th September at the Loch Fyne Hotel, Inveraray, Evening entertainment will be provided at the hotel, with supper, and Members are encouraged to stay overnight in the hotel, or close by. Inveraray is the traditional county town of Argyll and the ancestral seat of the Dukes of Argyll, Chiefs of the Clan Campbell whose family have resided in Inveraray since the early 15th century. 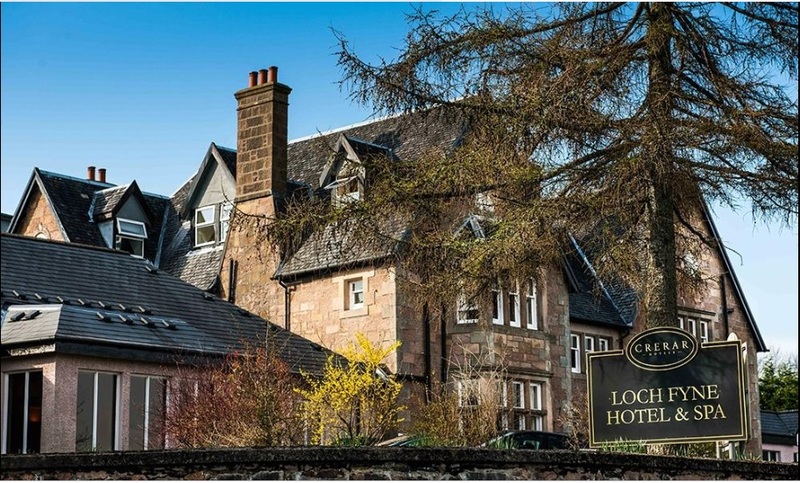 Lunch will be served at the Loch Fyne Hotel before a guided tour of Inveraray Castle, which was designed by Roger Morris and decorated by Robert Mylne. Its fairy-tale façade houses an equally enchanting interior and the castle’s beautifully maintained garden and expansive estate offers some beautiful walks. Afternoon tea will be provided on our return to the Loch Fyne Hotel, which is a four star AA awarded hotel and spa with uninterrupted views of Loch Fyne and beyond to the Cowal Hills. For those staying on the Saturday night, we have planned some sensational after dinner entertainment but, as always, we hope that Members will volunteer their musical and performing skills for our enjoyment. Glenaray and Inveraray Parish Church, which is situated in the centre of town, is a category A listed building. Originally two Churches under one roof, one for Gaelic worshippers and the other for English speakers, but with the decline in Gaelic, the Gaelic Church was turned into the Church Hall in 1957. The Church has a Sunday service at 11:30am. Step through the doors of Inveraray jail and step back in time to a 19th Century prison. Experience what life was like for the real men, women and children – some as young as seven – who were tried and locked up here. A short car drive from Inveraray, you can discover one of the hidden wonders of the southern Highlands – Cruachan Power Station; a power station buried one kilometre below the ground. At its centre lies a massive cavern, high enough to house the Tower of London. Auchindrain Museum brings a historic Victorian farming village back to life. Visitors step back in time to witness how a local community lived, worked and played. Today it is far and away the best remaining example of a settlement that was once common. Please contact admin@clanlindsaysociety.co.uk for any further help or advice, whether it be for accommodation or event logistics.